Streaming music provider Pandora will begin targeting you with ads based on your political inclinations starting next week, the Wall Street Journal is reporting. Pandora won’t flat out ask you whether you’re a Republican or Democrat – the company thinks it can use big data to divine that information on its own. Its algorithm takes into account your ZIP code and how Democratic or Republican it voted in previous elections. Then, computers compare your musical tastes to those of others in predominantly GOP or Democratic areas to better understand your politics. Pandora says its predictions have an accuracy rate between 75 and 80 percent. That’s hardly precision accuracy, as you might expect. But for candidates looking to grab your vote in this November’s midterm elections, these kind of targeting efforts are worth it. 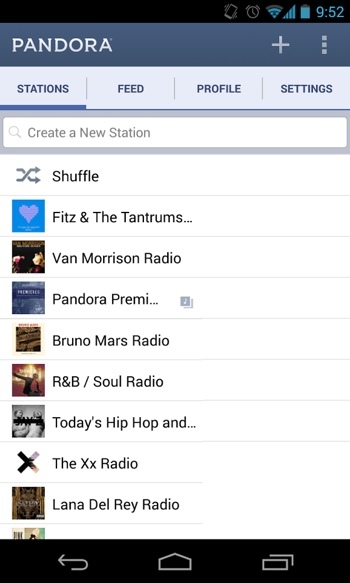 Pandora says it already has two major political advertising firms lined up as ad buyers. The chief technology office of Echo Nest, the music data company behind competitors Spotify and iHeartRadio, confirms that “musical preference is pretty well correlated with political affiliation.” According to the company’s research, people who love Kenny Chesney, Kelly Clarkson and Elvis Presley are more likely to be Republican. Fans of Rihanna, Madonna and Katy Perry, meanwhile, are more likely to be Democrats. There’s only one way to opt-out of the targeted ads, and that’s to sign up for Pandora’s $3.99 monthly ad-free premium service. For more on Pandora and its competitors, check out our comparison guide of the top streaming music services.